Get a live quote and book online today. We offer discounts for students and OAPs. Located just off Junction 23 of the M1, with easy links to Coalville, Belton and Ashby-de-la-Zouch, Shepshed MOT & Service Centre offer Class 4 MOT Testing for cars and small vans; Class 5 MOT Testing for minibuses; Class 7 MOT Testing for larger vans and commercial goods vehicles as well as a full range of van and car servicing and repairs. We offer a comprehensive range of MOT tests to suit all types of car, van and minibus. You can book online now. Simply enter your registration number into the box and choose the date and time you want to have your MOT test done. 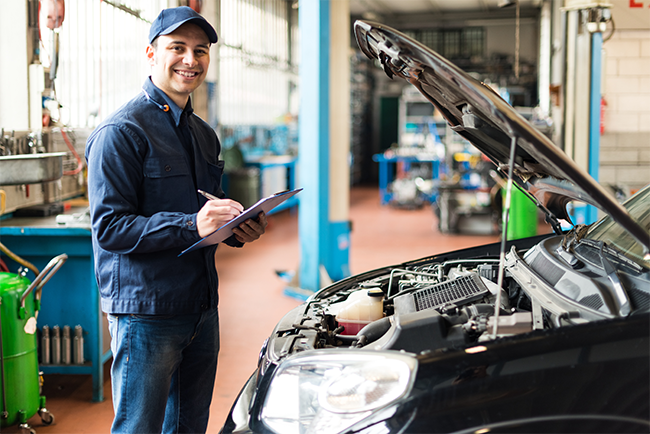 You will be sent a confirmation email, then all you need to do is bring your car or van to have it's MOT test at Shepshed MOT & Service Centre. 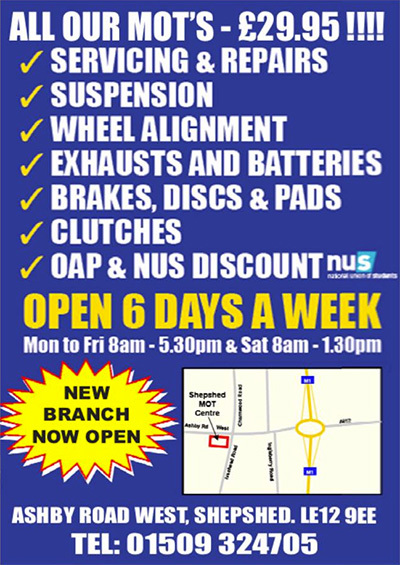 Book online with Shepshed MOT & Service Centre. Use our Online Booking System to book your vehicle in with us at your convenience - simply enter your vehicle details and select your date and time for our wide range of services. All this is available any time of day or night, with your booking being entered into our diary in real time. If, for any reason you can't find a suitable time call us on 01509 213838. We offer discounts to OAPs and NUS Card holders - why not Contact Us or call us on 01509 213838 to find out more?